Obviously, not everyone is cut out to start raising alpacas. They require a lot of love and care and there is a lot that most people don’t know to think about. Just like any creature that needs nurturing, you need to realize the difficulties involved in raising alpacas. They are wonderful creatures and amazing to have around, but no one wants to adopt a sweet animal only to realize they can’t properly take care of them. So, what are some of the points you should consider before raising alpacas? Let’s begin! The first thing you need to do is speak quite frequently to people who own alpacas or alpaca farms. The best thing you can do to begin is to get as much advice as possible. You always see new parents wanting advice from their friends or family who are parents, and the same goes for alpacas. You should also know that you don’t necessarily get what you pay for. If you pay $50,000 for an alpaca, it doesn't mean you actually purchased an elite “animal”. Make sure you are actually doing your research! Also, it is important to note that alpaca shows are very subjective and often don’t actually reflect the real quality or value. If you've ever had a pet in your life, you know the importance of having a good vet to work with. This doesn't change when you own alpacas. There are different things you have to do when owning an alpaca that you may not be aware of and vets who specialize in alpacas will help you understand everything that needs to be taken care of. 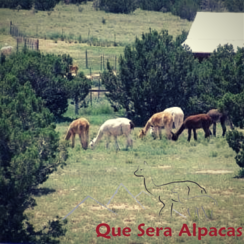 Are you interested in raising alpacas?